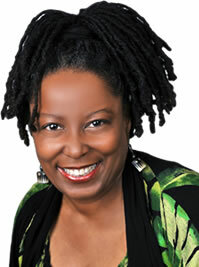 Tracy Brown is President of Diversity Trends, LLC (formerly Person To Person Consulting), a human resources consulting and training firm based in Dallas, Texas. She is the author of the book, Breaking the Barrier of Bias and four audio programs, including: motiVersity: Motivating While Valuing Diversity. Tracy has designed or delivered diversity training for clients like American Heart Association, The Sabre Group, Dallas Central Appraisal District, American Express and the FAA. Tracy is very involved in the local community. A few of the nonprofit organizations for which she has served on the Board of Trustees include Dallas Black Dance Theatre, Dallas Womens Foundation, Sickle Cell Anemia Foundation of Dallas and Dallas Shakespeare Festival. For more information about Tracy Brownincluding engaging Tracy to be your local keynote speaker, visit Tracy's website.